After World War II was over and everyone presumed the death of Captain America, Agent Carter is now occupied with a boring secretarial office work for the Strategic Scientific Reserve. Things seemed boring for our heroine till news of Howard Stark, a close ally of hers and the Captain, is framed for selling his weapons to whoever can afford it. Stark chooses her, knowing that Carter is capable for the task at hand and that the men in her office overlooks her talents, to help him prove his innocence. Being set in the 1940’s America, the show captures the right atmosphere including the inequality in gender. The show goes straight to the point with the sexism element, showing it as it truly was in that time. Though being underestimated by her co-workers, agent Carter uses this as an advantage to be the secret agent that Stark needs her to be. I was amazed at how the show portrayed the world in the 1940’s. Everything from the set to the costumes were detailed. Even the colors and the dialogues matched the era. Of course having a show that pre-dates all the other movies of the MCU (except The First Avenger) gives way for Agent Carter to provide some more history to the current timeline. I’m not telling but keep your eyes open for those easter eggs. Though there are some Captain America reference at the very beginning it only served as a sort of recap. As the show progressed on, we can slowly forget Captain America and become more invested in Agent Carter’s adventures. 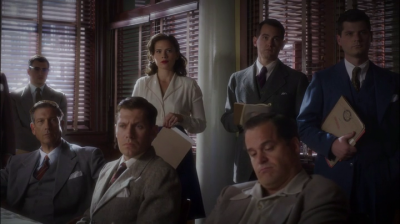 Agent Carter has the proper feel of a spy genre show. You’ll see our heroine get into a lot of situations where she demonstrates her abilities and cunningness. This premiere did not disappoint with its amount of action scenes. Alongside agent Carter Stark also tasked his butler, Edwin Jarvis to assist the agent. Jarvis (played by James D’Arcy) is more of a sidekick to Carter. His character serves as the source of comedic relief for the show. Though he is not used to the spy agenda he is still willing to help, as long as it’s not yet 9 p.m. because that’s his and her wife’s bedtime. Being part of the Marvel Cinematic Universe (MCU) means that every now and then there will be references to other series/movies take AOS for example. It was supposed to be a strong suit of Agents of S.H.I.E.L.D. but it didn’t work out so well from the start. The show suffered from being a TV spin-off after the avengers, there story is limited to what has been previously established by the movies and people expected a movie like production. Plus the story has to depend on being linked to the Avengers without having too much effect on the movies. Agent Carter need not worry since even though it was a spin-off from the first Captain America movie, they can still create their own stories without affecting too much of the current timeline. 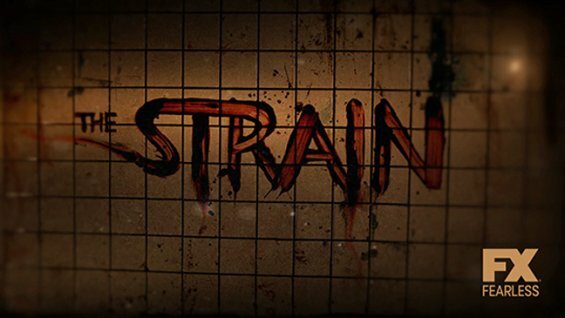 They are free to create their own story and even show how they can influence the current shows. An example of that is Stark’s AI program J.A.R.V.I.S. which he named after his father’s butler. They could connect to the current timeline but not have much of an effect on its events. Also I do believe that it had a better pilot than Agents Of SHIELD. Hayley Atwell is still fitting for the role of Peggy Carter and she really portrays her with much gusto. Agent Carter premiere showed enough promise and potential that I would add this to my weekly must watch. 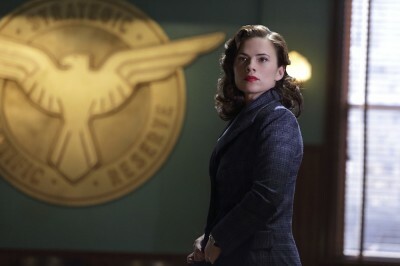 Marvel’s Agent Carter airs every Tuesday on ABC. FLIPGEEKS’ Guide to GEEKY TV Shows this Fall! CW’s ‘THE FLASH’ & ABC’s ‘AGENT CARTER’ Both Unveil Official Posters!